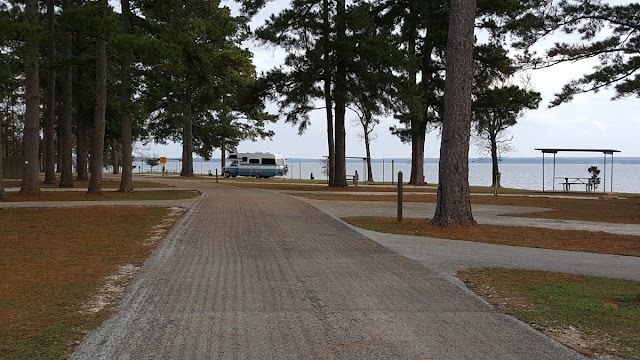 J and B and Lady Blue: Double Lake National Forest, Rock'n E RV Park, Rayburn COE Park, Martin Dies State Park,Texas; and a few snowy pics from New England. 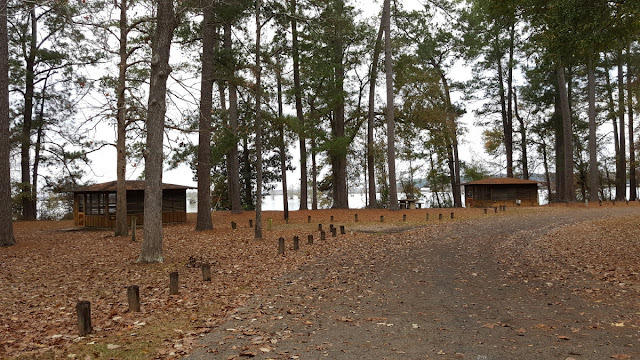 Double Lake National Forest, Rock'n E RV Park, Rayburn COE Park, Martin Dies State Park,Texas; and a few snowy pics from New England. This is a continuation of pictures from Double Lake National Forest. As we mentioned , the sites are large and separated by bushes and trees. There is a great path all the way around the lake. Close by the Day Use Area is the dam and the swimming area. While we were here for New Years, there was a group of older teens up from Houston. 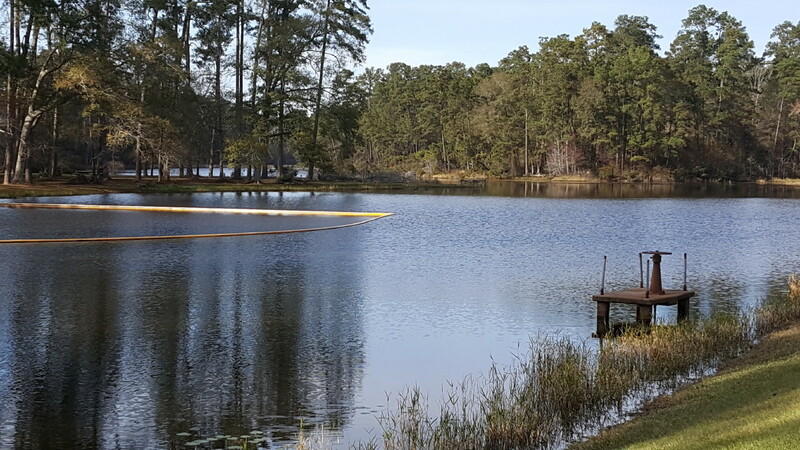 One of their scavenger lists included swimming to the yellow float and back. 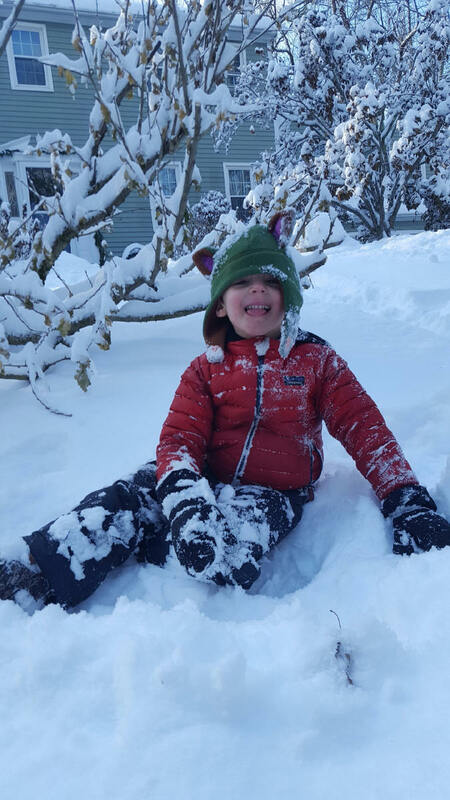 Now, it was in the 30's this day. And , yes, we noted that a number of them took the challenge and swam out to the floats and back. 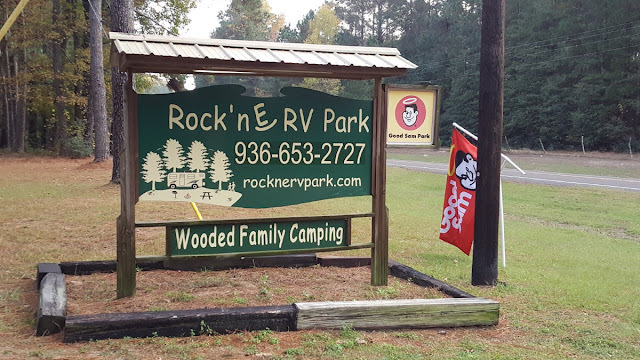 Rock'n E RV Park was a new find close to Lake Livingston. It is a Passport America park and is recently under new ownership. Passport America is one of our memberships that has worked out well for us around the country. 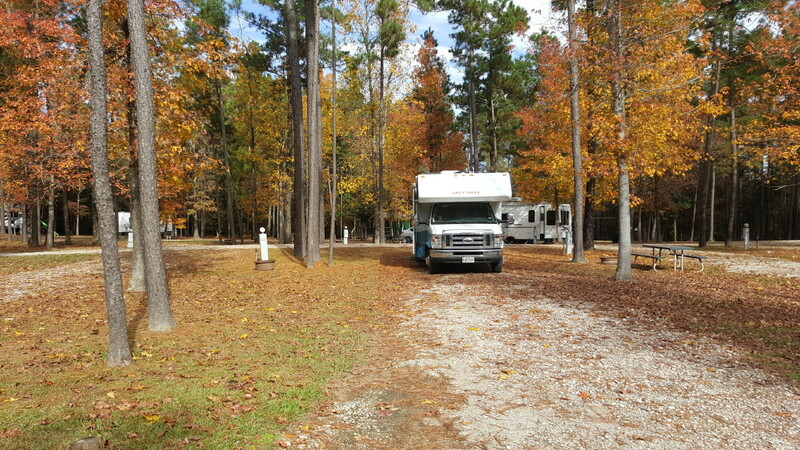 For $40 per year your membership allows you to find parks to camp at half the regular price. Some parks are restricted to off peak seasons or times. And some like this one are pretty much good to use all year. 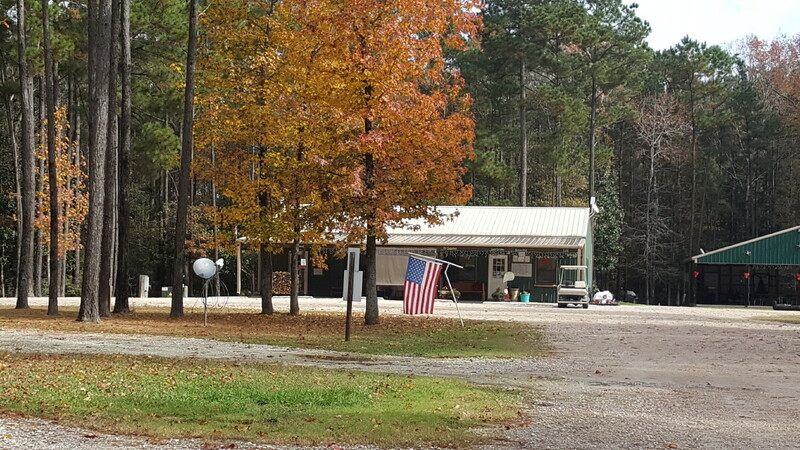 The workers , owners, and other campers are quite nice and helpful. Our Passport price was $20 per night. If you check the website below you will notice that a normal monthly fee here is about $400. They mention a January special of $300 for the month. The picture above was from our December stay--with all fall colors. Good spacing for a private campgound and and very long sites. We have been through Livingston for 5 years now, and there are still campgrounds in the area that we have not discovered. Jan and I did a survey of 2017 to see what campgrounds we visited. 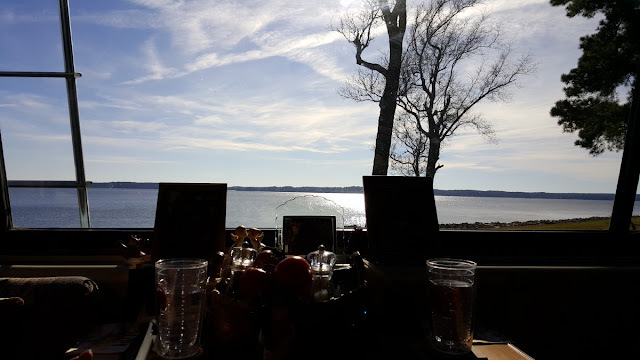 These included private campgrounds, Corps of Engineer ,Bureau of Land Management(BLM), State Parks, National Forest,Harvest Hosts(free stays at vineyards,farms,museums, and more), Cabela's in Maine, 5 friendly driveways, National Parks. we averaged moving every 2.4 days. 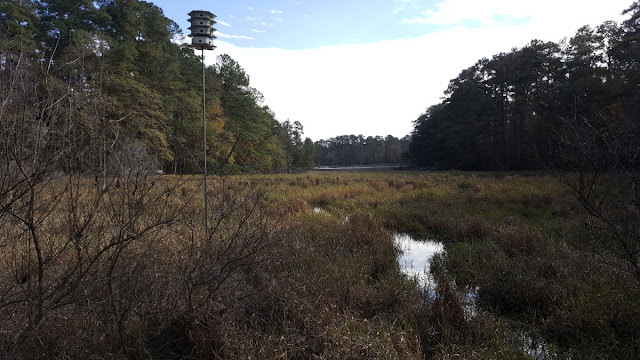 In mid December, we visited Martin Dies State Park in Jasper, Texas. We were surprised to see so few campers. But, they indicated that this is a very quiet season for them. We had a very private site close to the edge of B.A.Steinhagen Lake. 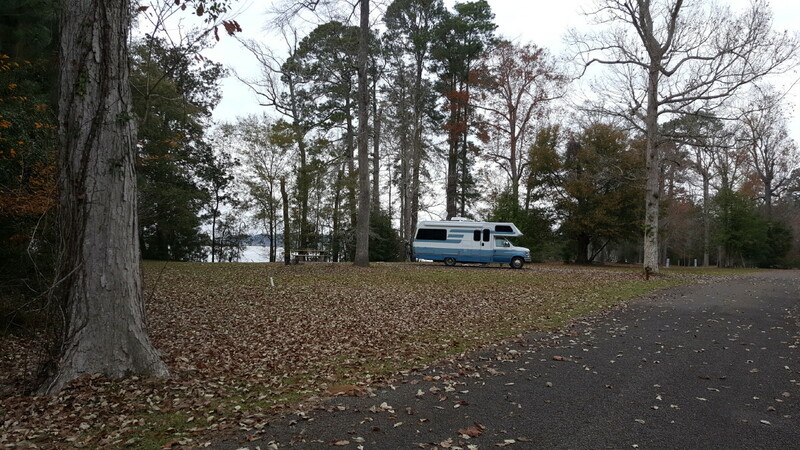 And we are back to Rayburn COE Park on Sam Rayburn Reservoir in Broaddus, Texas for Christmas. Did you notice how many other campers are here? The view out the back window is still great. We enjoy coffee in the morning(quite cold outside) and watch for the fishing boats speeding by. We did catch a view of one of the local eagles this time as well. 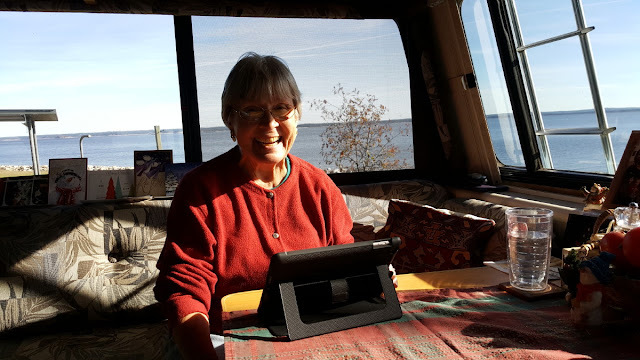 Jan enjoys her view of the lake. Her favorite time is watching for the sunsets. 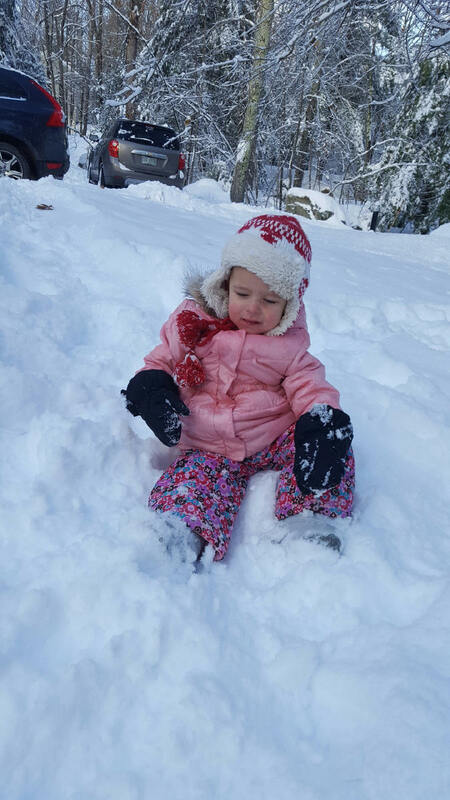 While we were cold in Texas--30's and 40's--, it was even colder--to negative numbers--and snowy in New England. 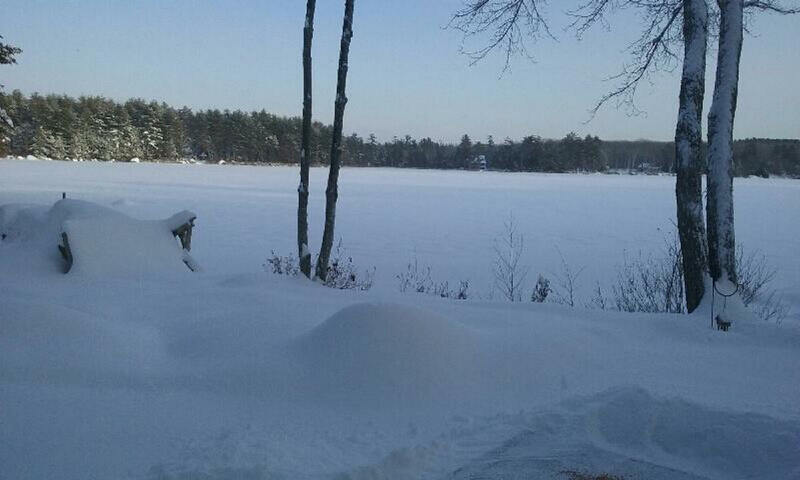 This is a picture Alison had posted from their deck in Maine, looking out over the pond. 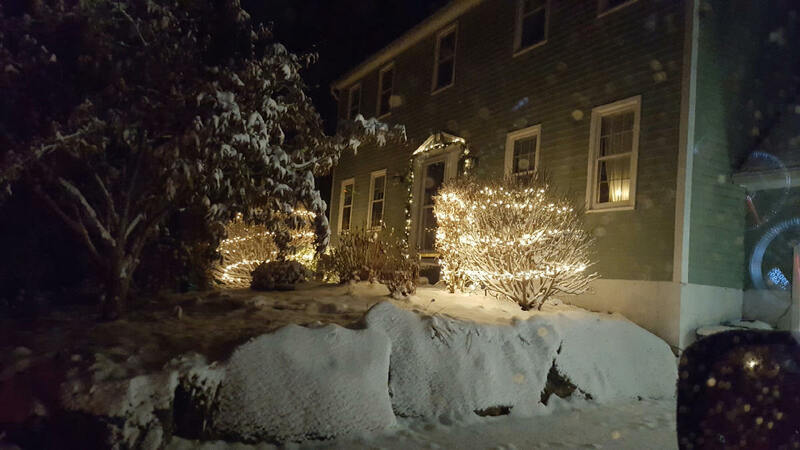 Scott and Rachel had taken a beautiful night picture of their front yard in snow and lights. 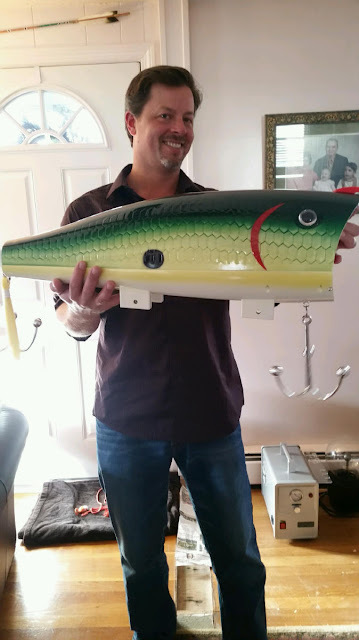 As Gary said, it's a very large fishing lure to drop into a Maine lake. And Sean was between family visits on Christmas Day and just happened to drive an hour to Bretton Woods in New Hampshire to do some snowboarding on the single digit , snowy slopes. Notice all the other skiers on the lift? 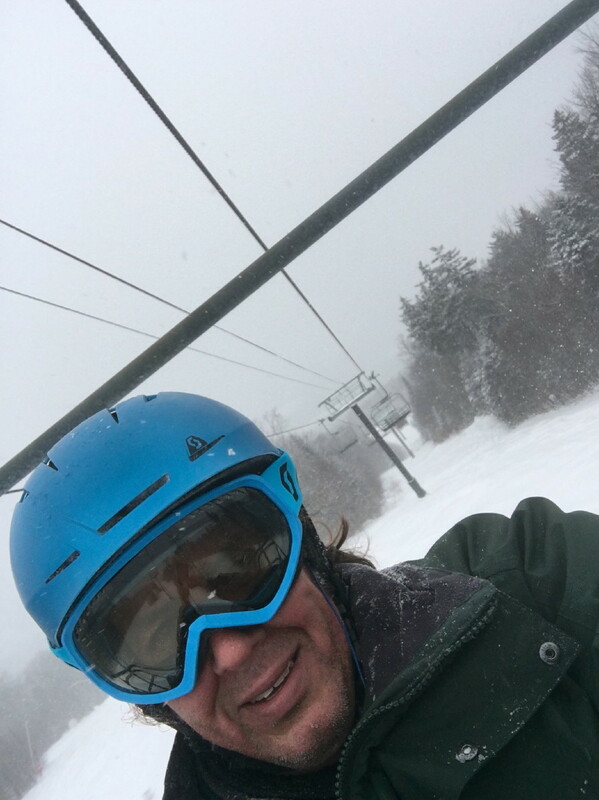 He said the skiing was great and there was a super special fee for the day. enjoy playing in the snow? Jan's checking out the sunset from inside Lady Blue. And another view from outside. Do we post too many sunsets? And lastly, we could not resist. This is a picture that Sean found. Where? We do not know. But quite the picture. Do you notice the skinny little path to the door? 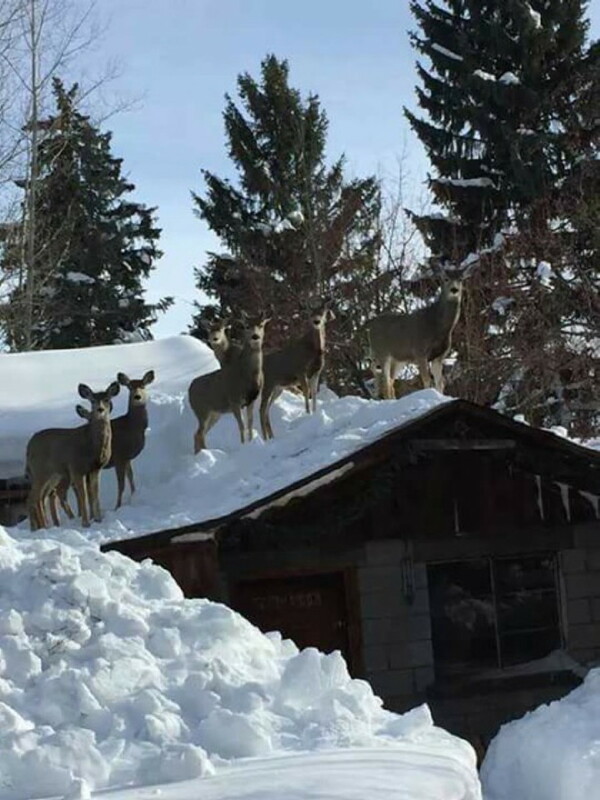 And , obviously, the snow is high enough and packed enough to allow the deer to climb up on the shoveled roof. And how do you feel about 8 deer(count all the feet and heads)pounding around on your roof with all that snow? Just a note to our friends at Quartzsite, Arizona. Jan and I will be staying close by in Texas this January, exploring the state a bit. We plan and hope to see you in 2019!